The UBEC is an advanced switching regulator with over-current and over-heat protection function and the maximum efficiency of the system is nearly 90%. 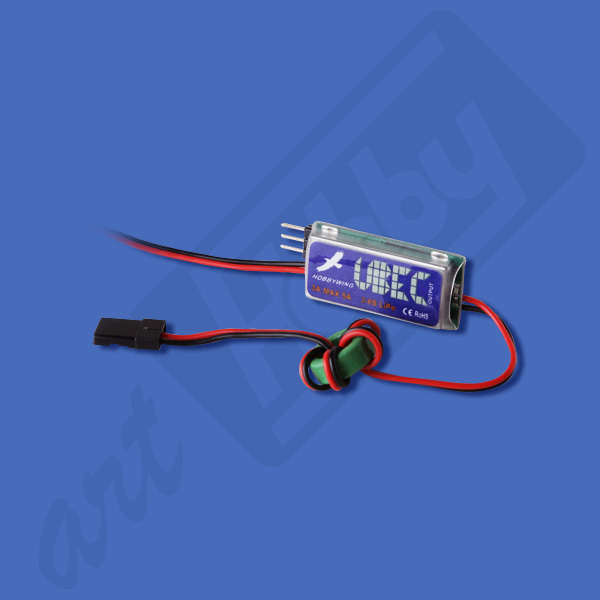 It will take high-voltage (5.5V - 26V) power from your battery pack and convert it to a consistent safe voltage for you receiver, servos and gyro. - Gliders using Rx LiPo battery packs.